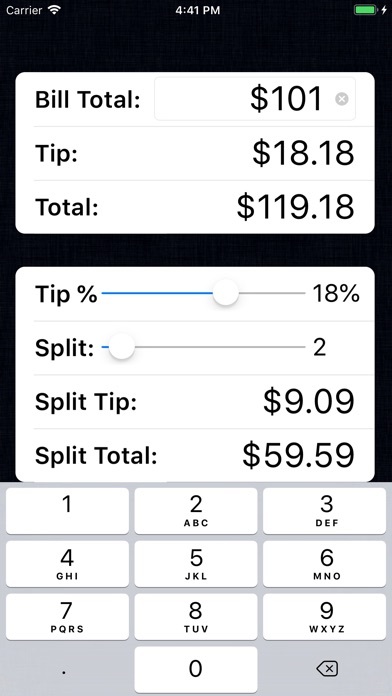 Tip Calculator % features fast bill entry and splitting, ideal for those dining out or having drinks with friends. • Splits bill with ease! • Rounding feature! • Fast loading! No Ads! 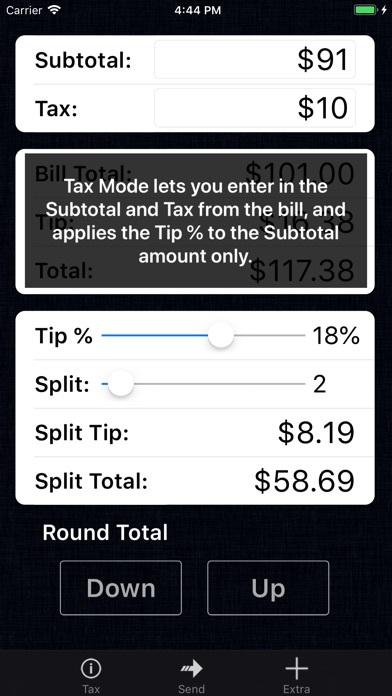 • Save more $$$ with Tax mode, to apply Tip % to pre-tax Subtotal What our users are saying... "Simple. To the point. Beautiful." "Especially love the split function" "Perfect and easy" "Easy to read"
Uma porcaria, o meu tem um defeito que calcula os centavos errado, já mandei mensagem e nao tive nenhum suporte!! 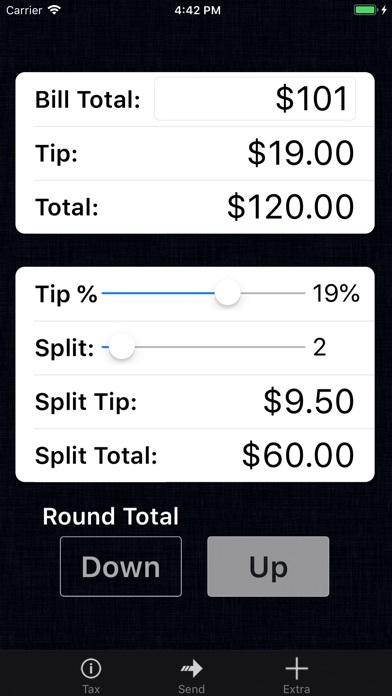 I’m disabled, a Stroke Survivor, with this app I find there is no problem calculated my fair tip ! 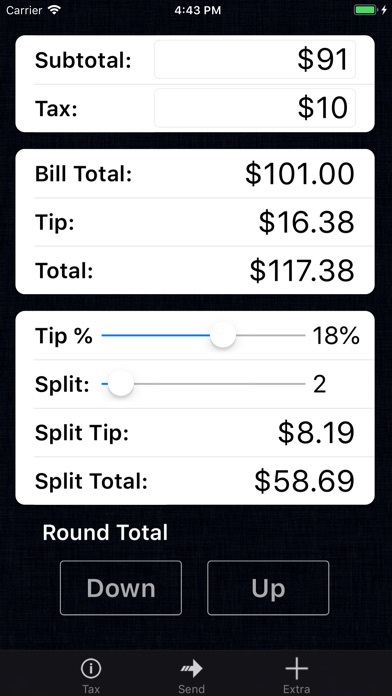 Adds were removed but rounding the bill up and down doesn’t work when you tap the buttons. No floating decimal either. Right now I feel ripped off. Round up and down didn’t work on the free copy either. I thought the purchased app would work as advertised, but it doesn’t. I’ve stopped using this app until two options are added: a pre-tax amount field and a field to enter the actual tax. Make these changes, and I’ll return to the Pro version.